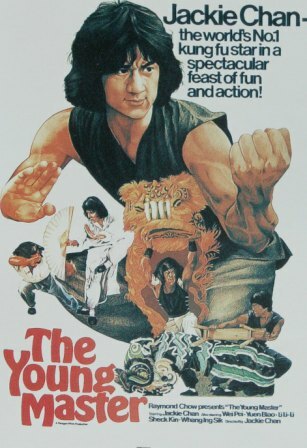 After a failed bid for Hollywood success, martial arts megastar Jackie Chan returned to Hong Kong for 1980’s The Young Master, a film that marked the beginning of a long and successful relationship with Golden Harvest. After a great deal of backstage wrangling thanks to Golden Harvest head honcho Raymond Chow and Jimmy Wang Yu, the young Chan was finally released from all contractual obligations to director/producer Lo Wei, and consequently became free to do his movies the “Jackie Chan way.” And while The Young Master certainly hearkens back to the old school charms of his previous work in terms of plot and setting, the film possesses more than enough of Chan’s trademark slapstick humor and high-energy stunts to make it a noteworthy transitional film in the Jackie Chan filmography. As his first film for Golden Harvest, this is one of Chan’s best from the pre-Police Story era. Not only can read my full review here, but you can actually watch THE WHOLE MOVIE for free online. Although it is a dubbed version, I’ve gone to the trouble of embedding The Young Master below. Apparently, this is all legally kosher, but if you happen to know otherwise, please throw me a line.